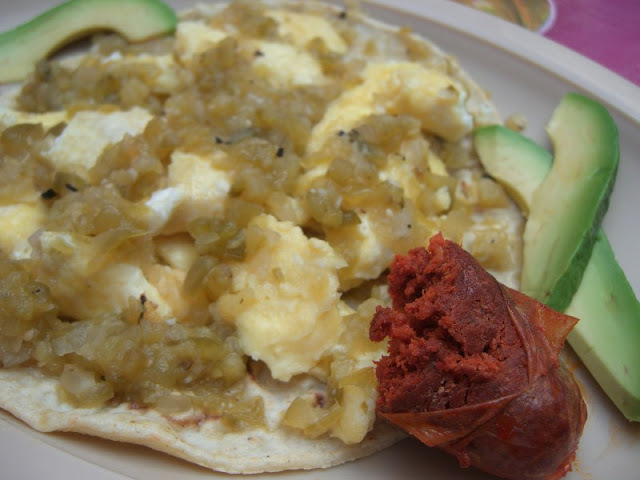 We absolutely love breakfast in Mexico - Huevos a la Mexicana, Huevos Rancheros, Huevos Divorciados (like Rancheros, but with both red and green salsa - why choose? ), we love them all. Back in Oaxaca, we are now staying in a place with a kitchen, so we've been able to shop at the local mercados and cook. 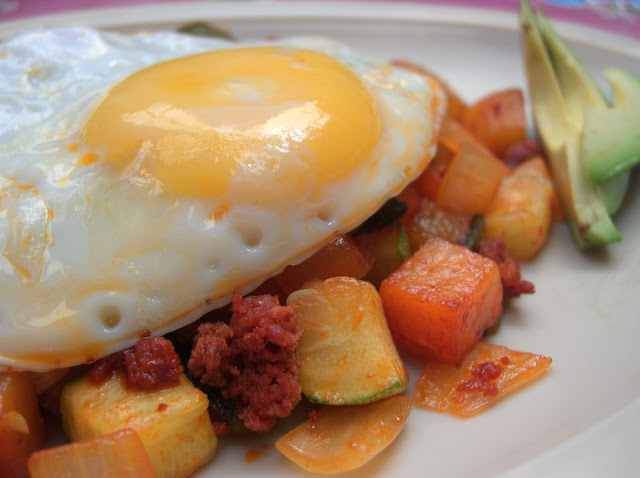 The picture above is a chorizo and vegetable hash topped with a huevo estrellado. The chorizo here is fantastic, and we've been using a lot of it.